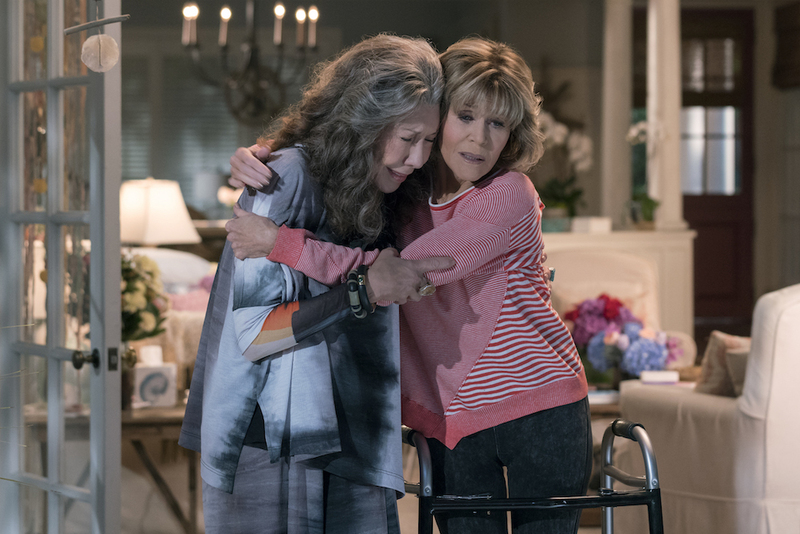 Season 4 reframes a question of maturity into one of capability, as Grace and Frankie stare down the barrel of assisted living. But what if it’s not arrested development? What if it’s unstoppable regression? 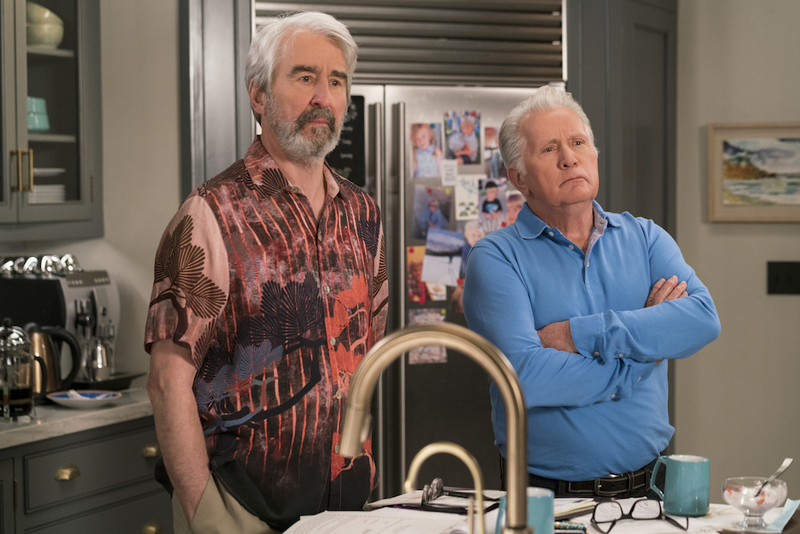 Continuing its fearless quest to address the anxieties associated with aging, “Grace and Frankie” dares to ask if its characters’ wild misadventures aren’t actually funny anymore. Maybe they’re scary. Maybe these two best friends are losing control of their minds, bodies, and lives. Maybe they don’t even know it’s happening, as it’s happening. Maybe they need help. It’s a jarring choice, especially when framed around Lily Tomlin’s delightful larks as Frankie and Jane Fonda’s cutting quips from Grace. No one wants to imagine that either of them could be slipping beyond peak form, let alone need an assisted living facility. But that’s exactly what makes the show so effective in its message: To make these decisions for yourself or your parents is incredibly hard. Someone needs to talk about it, and these two — in this show — have proven perfect torchbearers. “Grace and Frankie” is still the same beautiful, charming, funny, and heartfelt series it’s always been. It’s just found yet another way to be meaningful beyond expectations. The label-skewing Netflix original has always smoothly shifted between comedy and drama, making it oh-so-fitting that co-creator and showrunner Marta Kauffman would ask the audience to shift their perspective in Season 4. What was once funny is now frightening — or it might be, and that means Grace and Frankie have to consider both interpretations. It also means Tomlin and Fonda have to find humor in harrowing moments and vice versa. They’re obviously up for the task, especially in the final three episodes, which set up a strong, surprising ending. Season 4 starts in a very different place than it ends up — literally and figuratively. Frankie is living in Santa Fe with her boyfriend, Jacob (Ernie Hudson), and Grace has a new roommate: Sheree, played by Lisa Kudrow (who reunites with her “Friends” co-creator, Kauffman). Sheree is a manicurist, but she helps Grace sell the vibrators that Grace created with Frankie. This kind of insertion into Grace’s day-to-day life ruffles Frankie’s feathers, but the three of them work it out without anyone getting too up in arms. Kudrow proves herself a good fit for the show, even if she doesn’t stick around that long. Sheree’s sweet-and-spacey demeanor is right in the former Phoebe’s wheelhouse, and she makes the most of her time with these other two comic talents. (Watching Kudrow and Fonda do a “Top Gun” high-five is as good as it sounds.) It’s also worth noting the territorial fight subtly sets the stage for an ending very much about the house, but it would be negligent to ignore the other well-utilized guest stars in Season 4. Peter Gallagher is back as Grace’s younger, richer boyfriend, Nick, and he gets more opportunities to flex his chops, from pratfalls to speeches. (He even gets to sing a few bars with fellow music-man Martin Sheen!) Talia Shire continues her comeback as Frankie’s estranged sister, Teddy, and Jessica St. Clair (“Playing House”) shows up as Brianna’s (June Diane Raphael) business rival. And, as always, “Grace and Frankie” delves into business affairs almost as often as personal ones. There are leases to examine and protests to attend; bail to be paid and dildos to be sold; corporate crises to avert and musicals to train for. One of the biggest challenges facing Frankie is an accidental death: hers. A governmental mistake forces her to reassess her priorities (including bonding with her estranged sister), but there are as many laughs as real moments of introspection. Within this trademark balance, though, Kauffman is up to something more. She subtly builds scenes that would fit in any season — like Frankie taking the newborn baby for a drive and nearly ending up in Mexico — as a set up for the aforementioned reversal. In Episode 12, “The Rats,” Grace and Frankie’s kids discover all the “shenanigans” their parents have been up to, from Grace drunkenly running into a cop car with her scooter to a house that’s fallen into unnerving disrepair. In that moment, it seems like their moms are going off the rails — and not in a fun way. Around midseason, Grace says, “It’s like my body is slipping away. You’ll see when you’re 70. One day it’s a hinge and the next it’s the whole damn house.” Though the metaphor is specific to what just happened, it comes to represent the season as a whole. Grace and Frankie end up in an assisted living facility, not in small part because it seems like they can’t take care of their beach house anymore. They lose their home due to the tightening shackles of age. And briefly, it’s hard to tell if they belong in a retirement community or not. They believe the other person does — convinced by their kids that their friend needs help — and they might even believe they do, too. It’s such a difficult thing to assess: You don’t want to be careless, but you don’t want to deprive yourself of what makes you happy. In the end, the two find inspiration in each other. They blame their kids for tricking them (which they did), but more importantly, they find comfort in knowing they’re not going through this alone. They support each other and that buoys their courage. It’s a simple concept, but not everyone is as lucky as Grace and Frankie. We’re certainly lucky to have them, as guides and entertainers, to walk us through big, scary questions in such a way that makes it feel less big and scary. And no matter how old viewers get, they’re not going to forget it. “Grace and Frankie” Season 4 is streaming now on Netflix. Starting from scratch? Grab the first season on DVD.